Many Baltimoreans have discovered community supported agriculture, known by the acronym CSA, as a way to receive fresh, locally grown fruits and vegetables on a regular basis while connecting with the people who produce that food. They are probably less familiar with something else that CSA stands for: community supported art. Rebecca Chan and Allison Gulick are out to change that. Same as a farmers’ market CSA, art customers sign up online, place orders for “shares” and show up at a central location to receive what they bought. They get to meet and chat with the person who produced the goods. The important difference is that instead of eating what they get, they go home and hang it on their wall. According to Chan and Gulick, the arrangement has huge benefits for both customers and artists, as well as for the Station North Arts and Entertainment District. 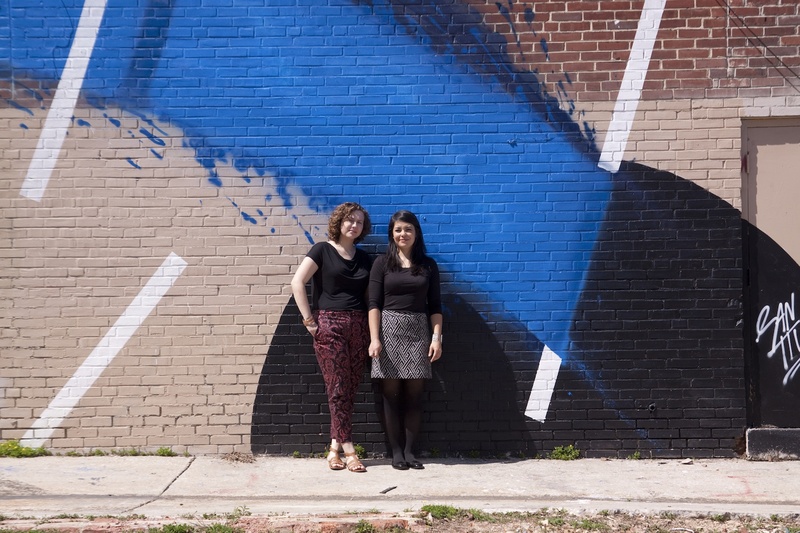 The program “is really a way to drive business to these artists,” says Gulick, Station North’s CSA coordinator, who graduated from MICA’s program in curatorial practice and now works for the school’s office of community engagement. Chan, director of programs for Station North Arts & Entertainment Inc., notes that the CSA also creates an opening for people who aren’t familiar with the gallery world to dip a toe into the local arts scene. “This creates the option of supporting local artists,” says Chan, whose graduate thesis at the University of Pennsylvania was about overlapping arts districts and historical districts in Baltimore. The CSA charges $300 for six pieces, which Gulick calls “ridiculously inexpensive” for quality work by professional artists (customers can further reduce the cost by splitting their shares). Customers are invited to gatherings where the artists are present to talk about their creations – and sometimes add performance elements. One artist recited an epic poem during a recent event. As with farmers’ market CSAs, there’s an element of unpredictability here. Customers can view the artwork ahead of time and vote for their favorite pieces, but there’s no guarantee that a buyer will get her first choice. Still, Gulick and Chan try to ensure that people leave happy, and they say the response so far the program, which launched in March, has been overwhelmingly positive. The available shares sold out within a week, and there is a waiting list for the second round. Works offered in the first round included paintings, traditional prints, digital prints on fabric, and an abstract painting/sculpture hybrid. In the future, the CSA might do a round that focused on a single style, like folk art or photography. “There’s a lot of ways to keep it interesting,” Gulick says.